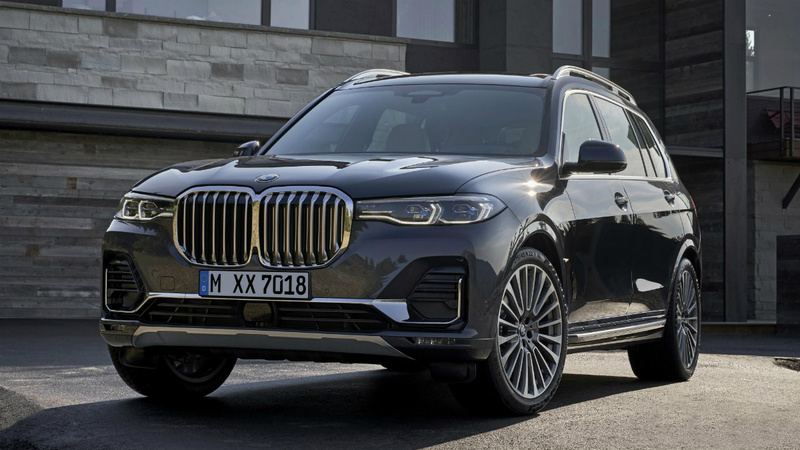 Welcome to a MASSIVE radiator grille, and the SUV to which it’s attached. 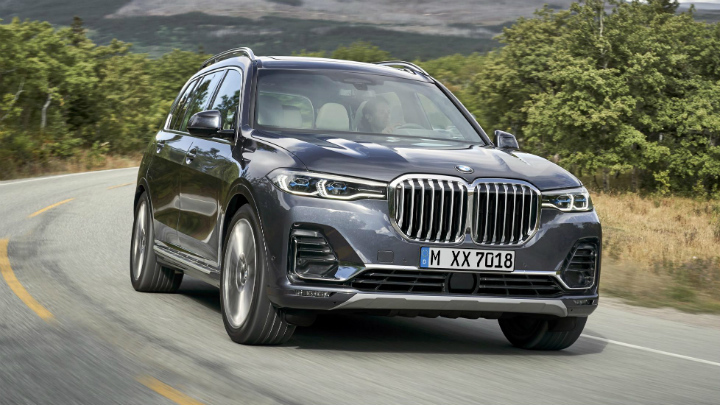 Ostensibly for the American market, we suspect, the BMW X7 is designed to compete with the full-fat Range Rover and Mercedes GLS. But at 5,151mm long, 2,000mm wide (how much of that is the grille?!) 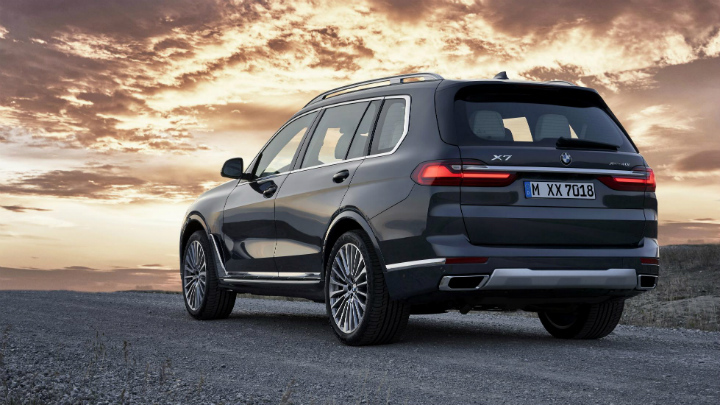 and 1,805mm tall, the seven-seater isn’t just BMW’s biggest-ever SUV. It’s actually longer, wider, and taller than the Range Rover. Gulp. At least it’ll have lots of space inside, though. We’re promised you can fit adults in each of the seven seats (a six-seat configuration can be specified, with three rows of two seats each), all of which are folded/unfolded electronically. With all the seats up you get 326-liters of trunk space, or a van-like 2,120-liters with the two rear-most rows folded flat. A three-part glass roof illuminates proceedings, while standard air-suspension keeps things level, no matter how much weight you stick back there. 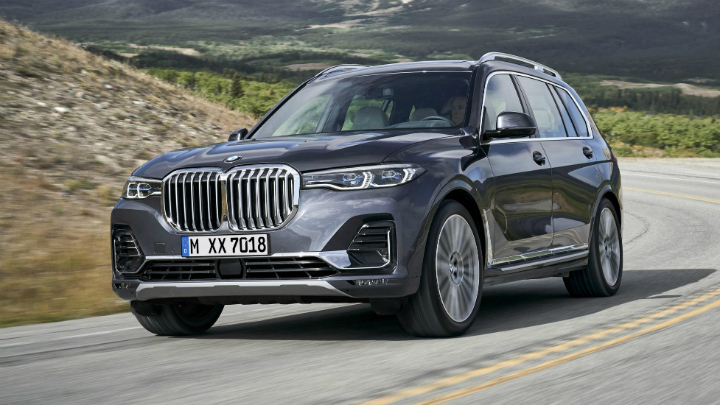 Motive force comes courtesy of three inline-six-cylinder engines – two diesels and one gasoline. 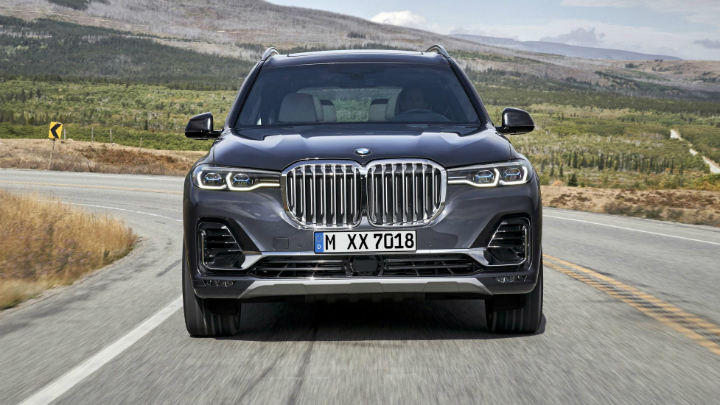 No doubt a V8 will follow, and we wouldn’t be surprised to see a plug-in hybrid of some description either. All use the eight-speed automatic and get all-wheel drive. 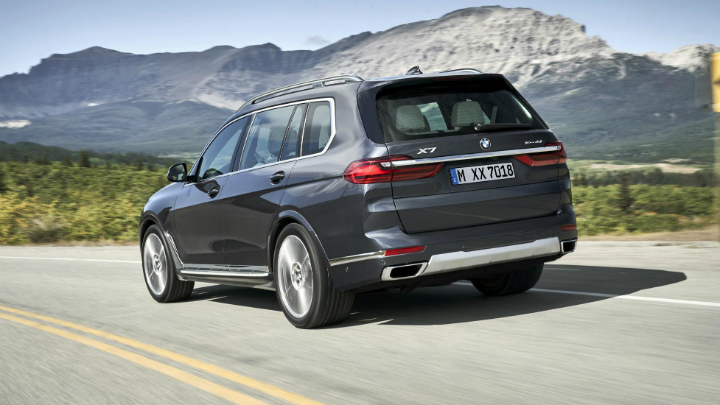 The base xDrive 30d’s 265hp means 0-100kph takes 7 seconds. 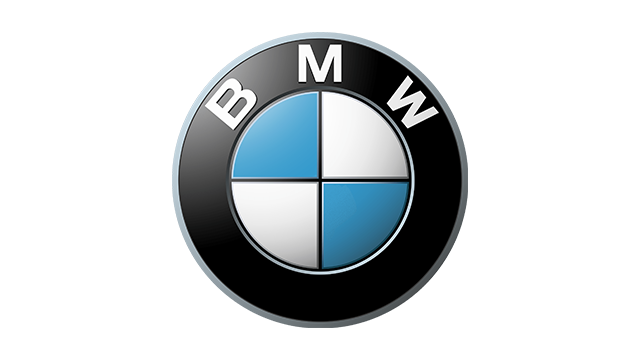 The top speed is 227kph, and BMW claim 15.5km/L and 171g/km. The M50d gets a nice, round 400hp for 0-100kph in 5.4 seconds, 249kph, 14.3km/L and 185g/km. 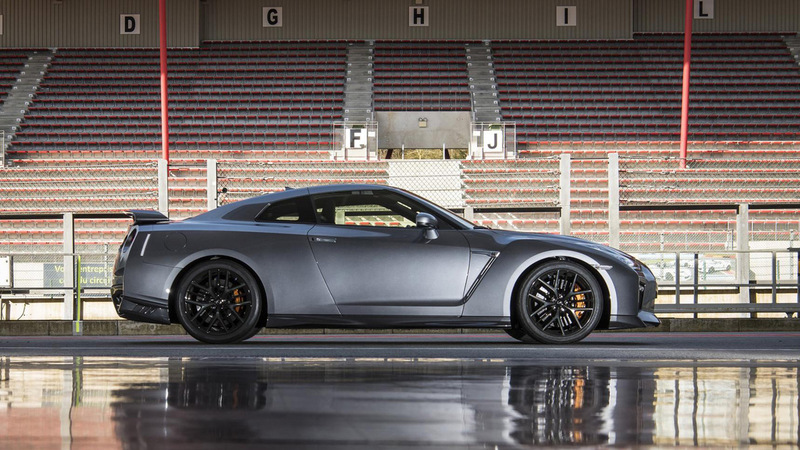 The sole gasoline option, meanwhile, sits somewhere in the middle, with 340hp and 0-100kph in 6.1 seconds. Not as economical, though – you’re looking at 11.5km/L and 198g/km. 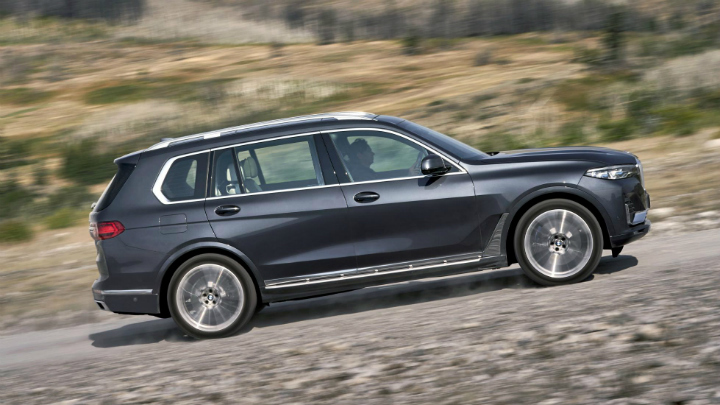 It has drive modes – many of them – and we’re promised a measure of off-road ability. All kinds of active safety systems and driver assistance technologies are available, and given the size/weight of this thing probably very necessary. Sales begin in April in the UK, with prices starting from £72,155 (P5 million).